In this auction Mumbai Indians pick Yuvraj Singh as his base price of 2 crore andÂ MI fills that it was best pick for that of the Auction. Mumbai Indians fans are very exited to see him in the blues. While MI coaching staff also fills that Yuvi will give the strength in their middle order so Rohit can open the innings for MI this year. So it was also good for the Indian Team for the World Cup 2019 that Rohit Sharma will get enough practice to open the inning. So now all eyes on Mumbai Indians coaching staff that how they use of the Yuvi in their batting order. 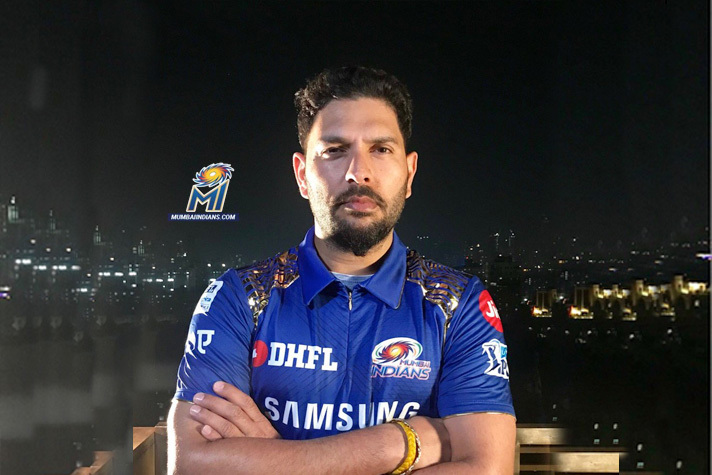 Mumbai Indians have Hardik Pandya, Krunal Pandya, Pollard and now Yuvraj Sing who can be part of the Playing XI so MI will play with 4 all rounders and that is big plus for any team.